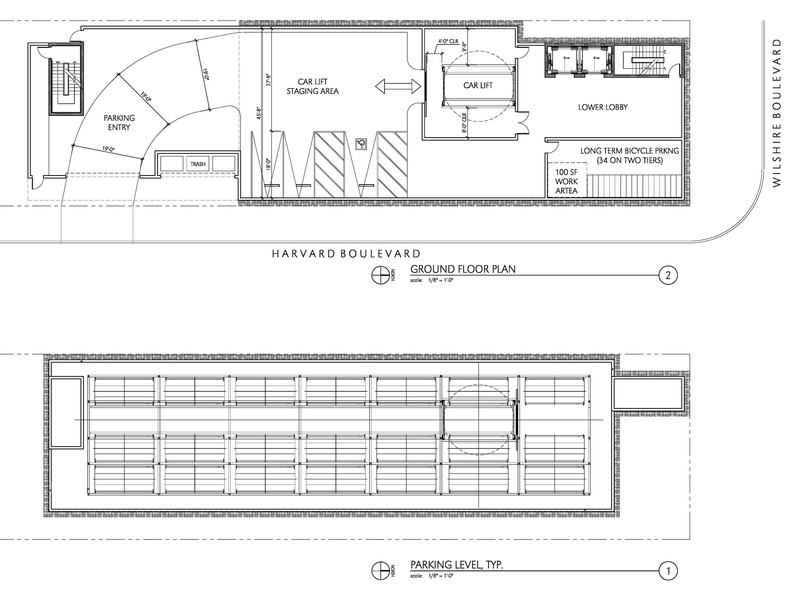 Kaplan Chen Kaplan prepared entitlement drawings for a residential project on a narrow corner site on Wilshire Boulevard west of downtown Los Angeles. 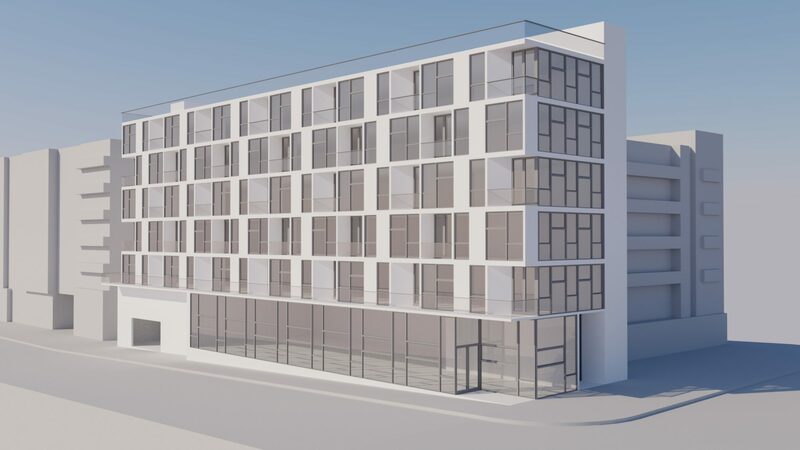 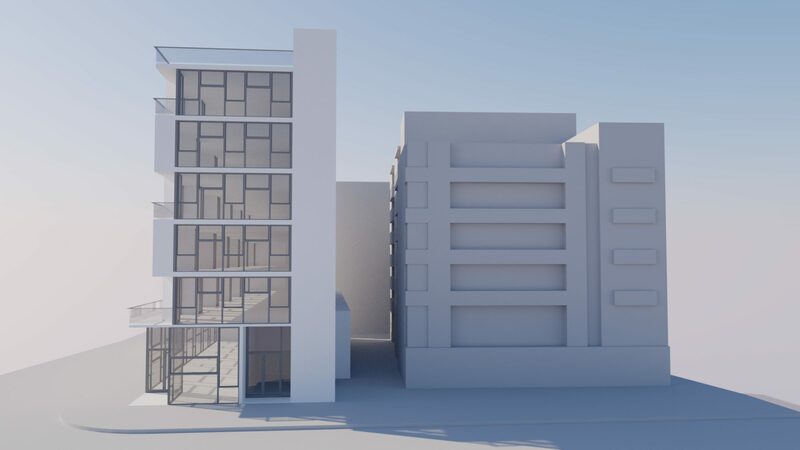 Featuring an interwoven fenestration system inspired by Korean tapestries, the live/work units have maximum exposure with open views on the street side frontage while the connecting corridor along the west side provides open space and connection to the adjacent property. 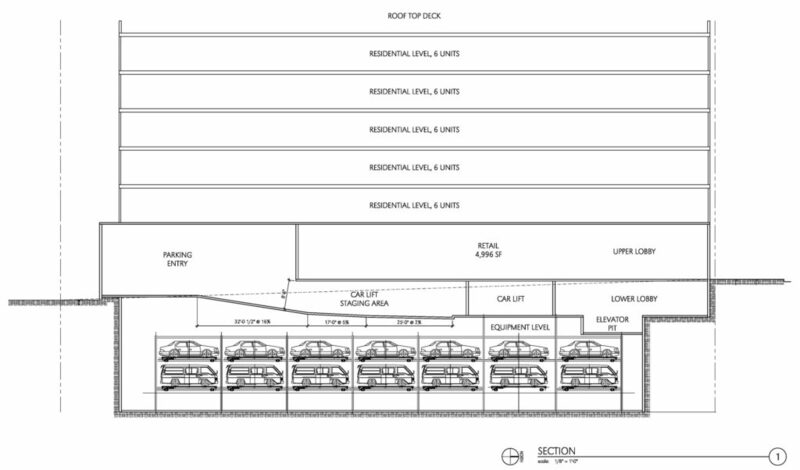 The extremely narrow site made parking layout difficult. 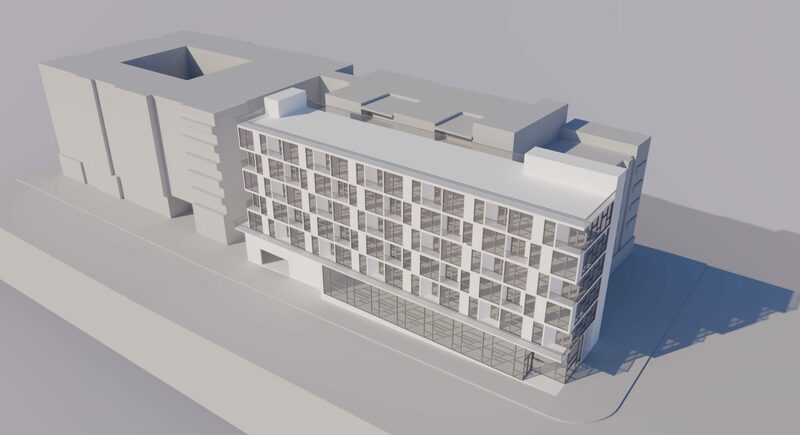 The team worked with an automated parking system to provide adequate and convenient parking for residents as well as visitors to the ground floor retail.